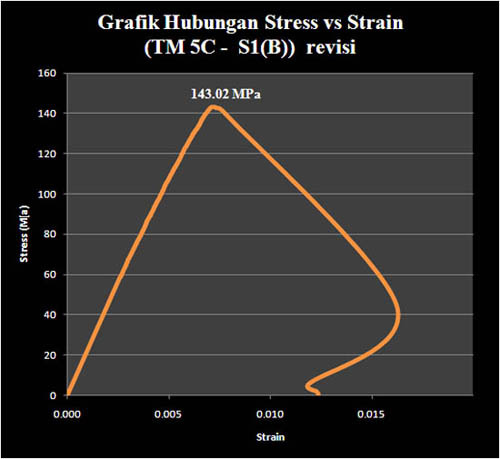 For the first time in Indonesia, UHPC with the strength fc’=140 MPa has successfully been produced and tested. To introduce UHPC in Indonesia, since last year (2009) a team of Civil Engineering of UPH’s researcher headed by Prof. Dr.-Ing. 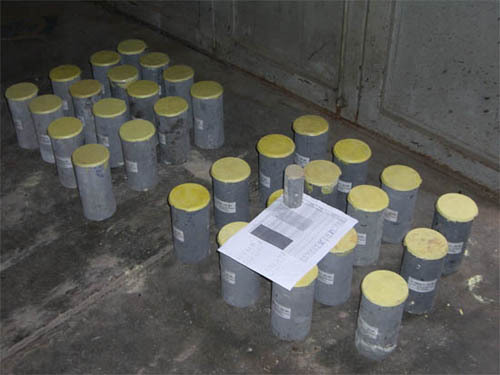 Harianto Hardjasaputra, has investigated intensively by using of local materials to produce UHPC with the targeted strength more than 130 MPa. This achievement is the first step in conducting long lasting research for the developing of UHPC in Indonesia. The outstanding properties of UHPC offer new paradigm for the future design and construction of concrete structure. 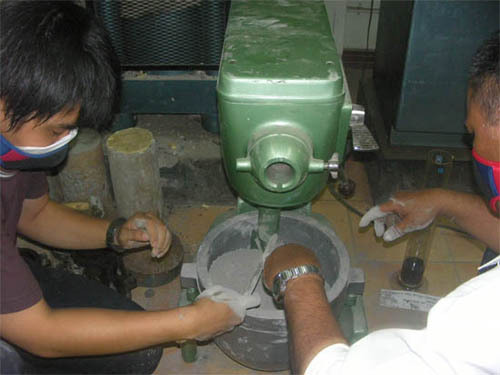 Mixing Process in concrete laboratory of UPH , with tight supervision for quality assurance. 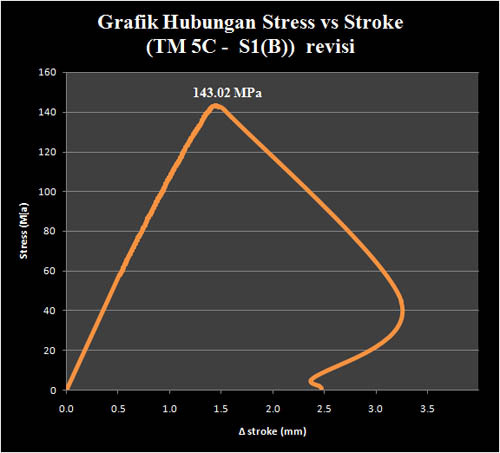 Typical stress – deformation curve of UHPC. It shows Linear curve until its ultimate strength. Left: Before Crushing test. 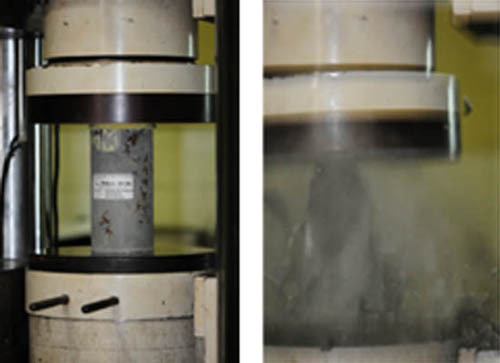 Right: After testing, very brittle failure. 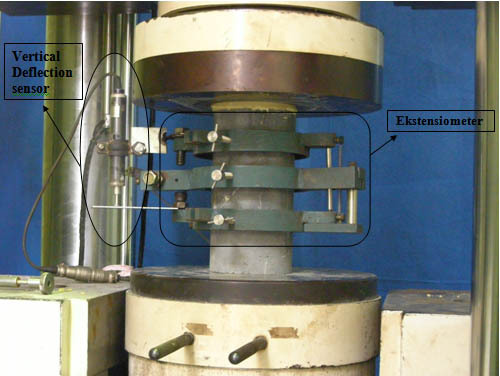 To determine the modulus of elasticity of UHPC, the author used extensometer. It can be calculated, that the Modulus Elasticity is 48 – 50 GPa. Saya sudah sampaikan di paper saya di Int Conference Asian Concrete Federation, Nopember 2010.